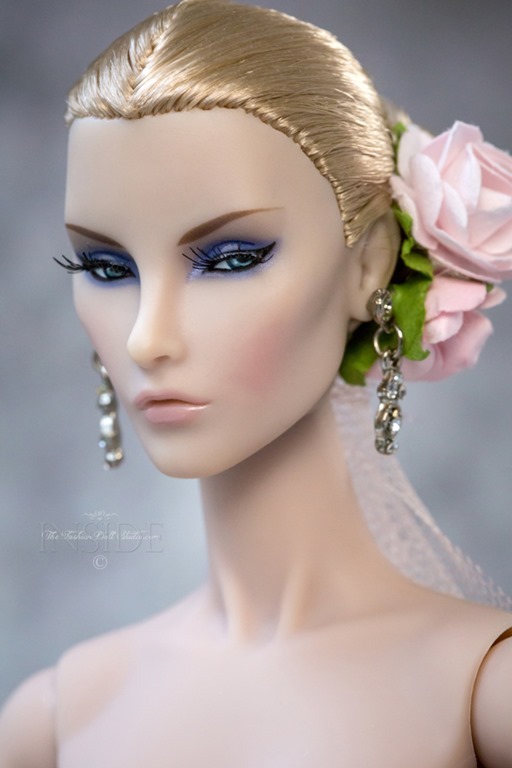 Ok…so I couldn’t just leave this Elyse with just a Barbie makeover shot. I also wanted to show her in a more sophisticated look than the white and black sundress she came in. I was having some difficulty coming up with a different look for her and received some inspiration from an unlikely place…the current book I was reading. 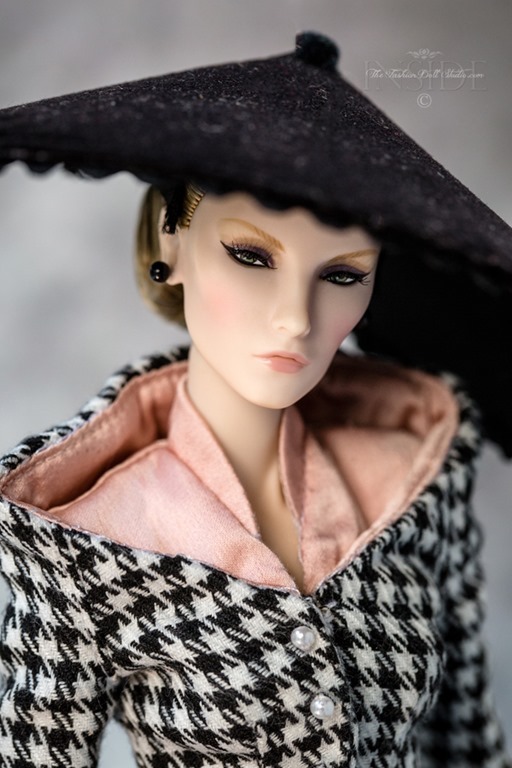 For this installment of the Elyse Chronicles and my homage to the 10th Anniversary Jason Wu dolls, I’m using the Nordstrom’s Elyse. 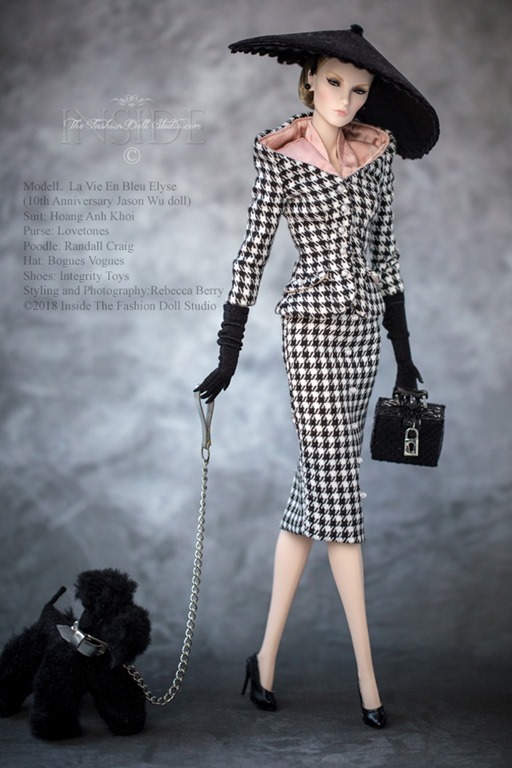 This doll was an exclusive release from the upscale retailer Nordstrom. Ok come on….when the first images of this doll were released…even though many of us are Integrity Toys collectors…we all thought it…Barbie. She looks a whole like like Miss Babs with the hairstyle and bright red lips, nails and toes. Given that, I just had to do this next set of photos. I just had to. 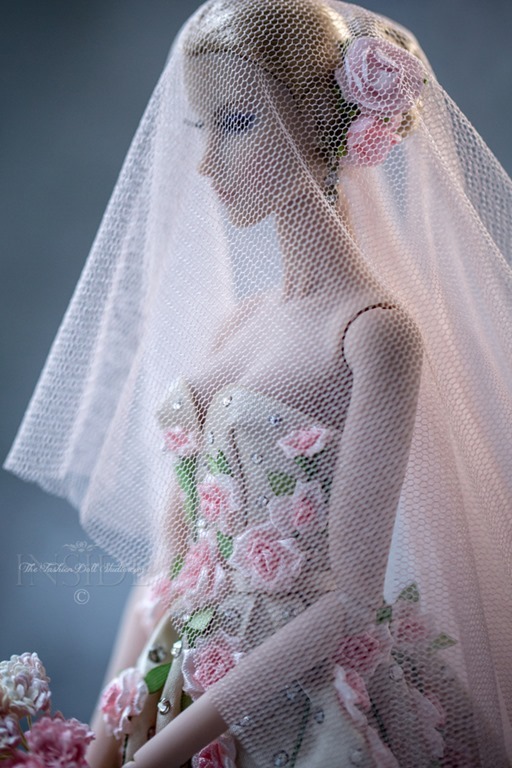 The first doll released from the Jason Wu 10th Anniversary collection was the La Vie en Bleu Elyse. The option to purchase her was given to each 2016 Integrity Toys Convention attendee. So in keeping with the theme I started, since she came to us originally in an evening look, I thought to put her in a daywear look. I looked no further than a new uber chic suit I received from Etsy designer and seller HoangAnhKhoi. Have your eyeballs recovered from the retinal searage above?…LOL! Since this lady came in a ball gown…my thought was to bring it down and put her in some day wear…but Dior daywear so…I guess it’s an elevated daywear look. Who says you can’t put a redhead in red?!! Not me. So I have decided to do a series of photos using these 10th Anniversary Jason Wu Elyse’s. 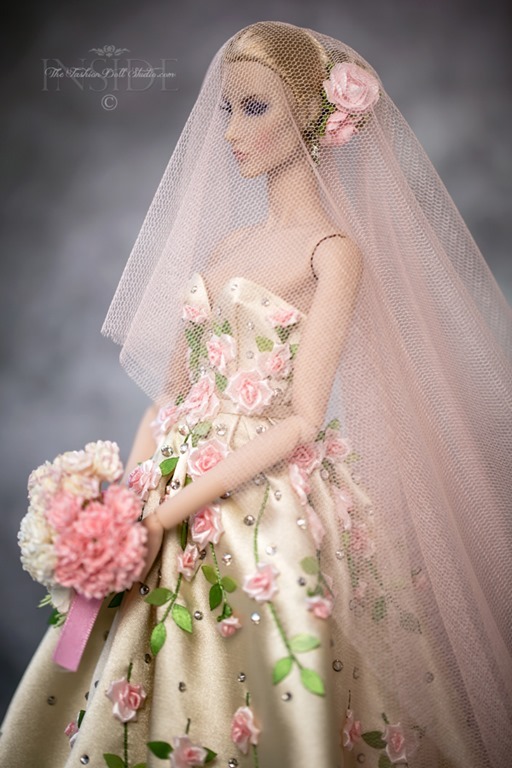 My first choice of photos for this series was a bride and it’s using one of my favorite dolls from the 10th anniversary series and a favorite OOAK gown I had commissioned during 2017. I hope you all enjoy! I love following wedding photographers on Instagram. While I have never photographed a wedding professionally ( oh the pressure!) I have photographed some candid images for family and friends from their weddings. 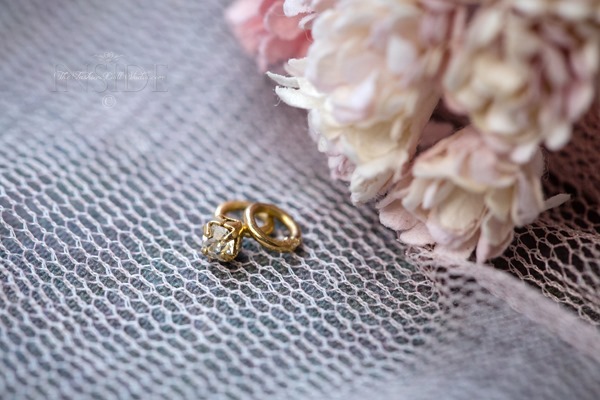 I love to see some of the images that professional wedding photographers capture. I am always in awe. The brides flowers are from Etsy seller Beadspage. Playing around with lighting on this shoot was fun. You will notice a different color cast to this shot as I was using mostly natural light as opposed to augmented or artificial lighting. I’m not sure which one I like better…both have their positive and negatives. Also tried out some really cool little LED lights I found at IKEA! Really cool effect and sooooo inexpensive!! You can find them here. In case you are wondering…the paper is there to shield the light from the dress and just shine on her face LOL! I have some master paper folding skills I never knew I had. What can I say about this doll that this picture doesn’t….absolutely nothing. She really is this beautiful. And just because natural light can say it so much better than augmented light can…here she is…in all her ethereal beauty. Thank you Jason for your gifts and for sharing them with collectors. 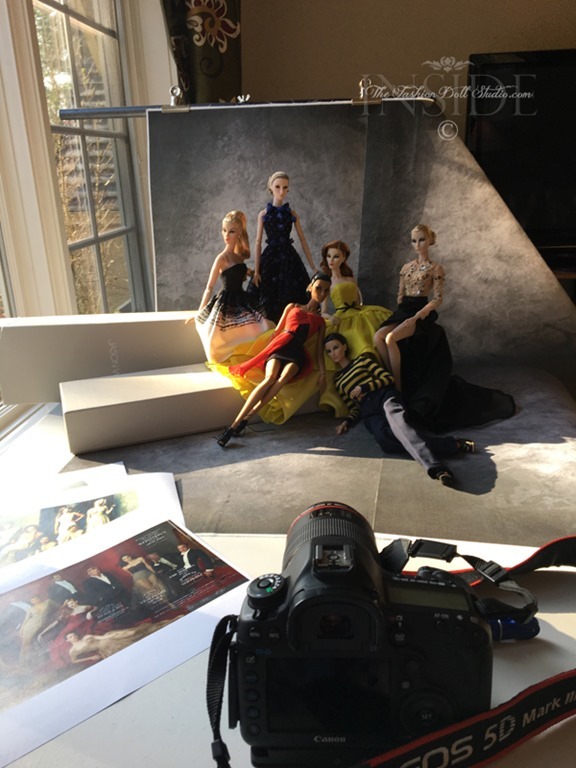 Since the announcement of these 10th Anniversary dolls by Jason Wu over a year ago, I thought it would be so cool to do an Annie Leibovitz style group shot of all the dolls. During the past year of releases and all the stress and uncertainty that can come with trying to purchase a super limited edition size collectable, I doubted this idea would ever come to fruition. I was ok with that. I can’t tell you how many great photo ideas I have had that have not and will not ever come to pass. Through the help of friends and fellow collectors, I was able to procure each of the 6 special limited edition dolls from this past year. With that accomplished, my mission was now set…time to do a group shot with all of these lovely ladies. I did research on Ms Leibovitz’s lighting style and composition. I have been a fan of her work for many, many years and was so very honored to take one of her master classes this past year. It was time to put that knowledge to work. Figuring out composition can be the most difficult job of a shoot. 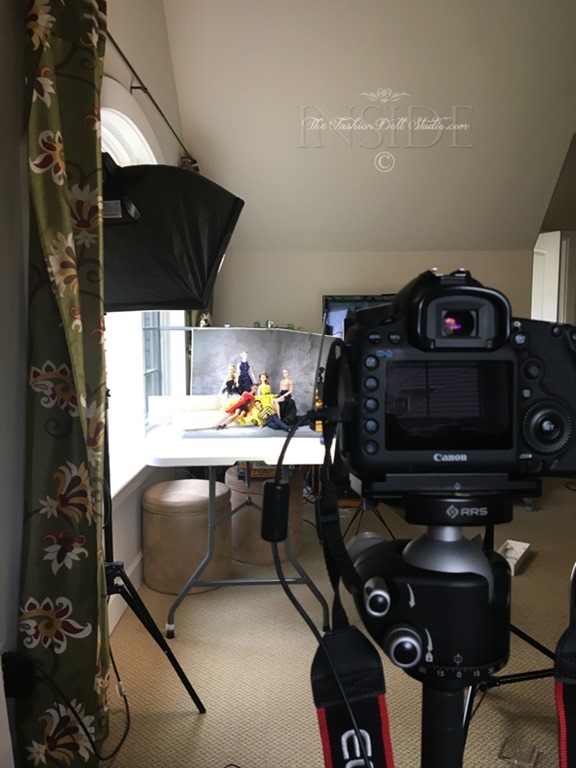 I’m not going to lie…this part took a couple hours and some outside consult from my good friend Rogier of Dutch Fashion Doll World. The next step was to get the right lighting. Annie Leibovitz’s group shots always have everyone in the group lit so well. I found out…she composites them….meaning…she shoots smaller groups then stitches them together in Photoshop. I considered doing that here and I almost did…but found that I had a small enough group that I felt I could light it adequately. I used a mixture of natural sunlight and 1-2 soft box lights. I shot with a Canon 5D Mark III and a Canon EF 100mm f/2.8L IS USM Macro Prime lens. And the final result after post processing. Hope you enjoyed the behind the scenes loot at how this image came together. For those of you who follow me on Instagram or Flickr, you have already seen the group shot. I just couldn’t wait to share the photo. 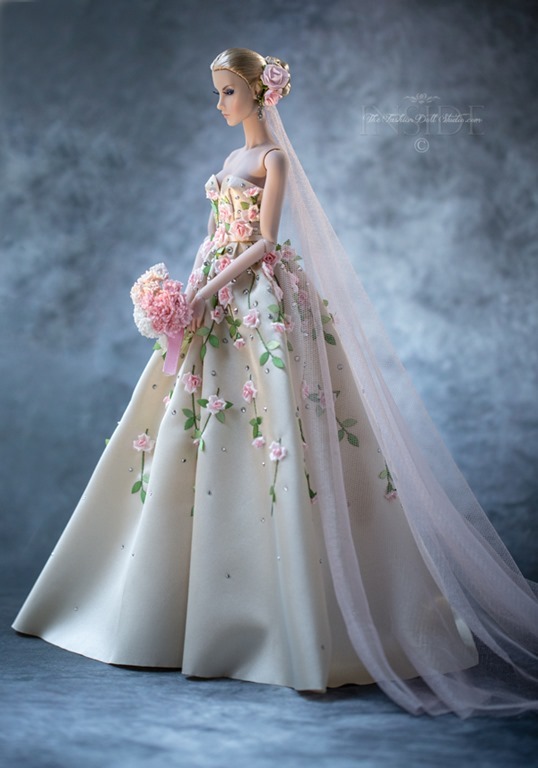 Through the help of friends and fellow collectors, I was able to obtain all of 6 special limited edition Jason Wu 10th Anniversary Elyse dolls produced this past year. I thought it would be really fun to do a group shot of all the girls together and here is the result of that shoot. Hope you all enjoy. I am doing a “Behind the Scenes” blog post on how I did this group photo tomorrow morning so if you are interested in that kind of stuff…keep an eye out . Feel free to comment or ask questions. 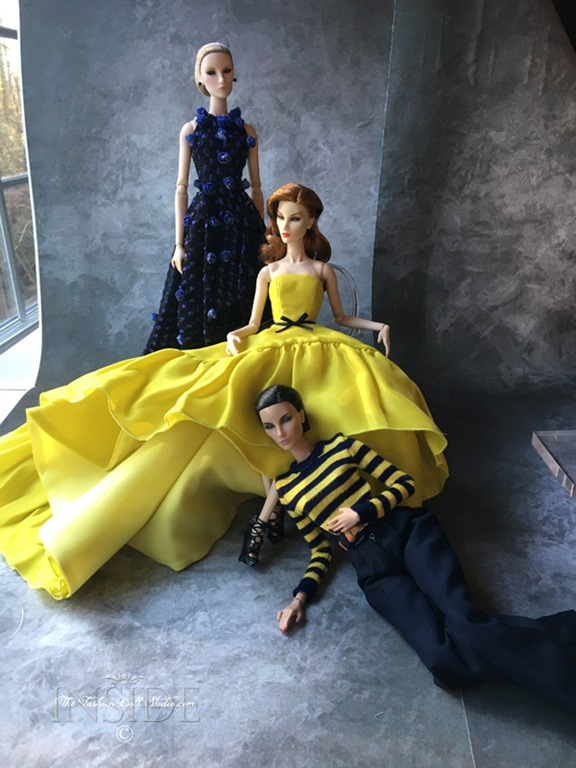 Jason Wu is releasing a commemorative collection of 10th anniversary dolls to showcase some of his favorite designs from the last ten years of his career. 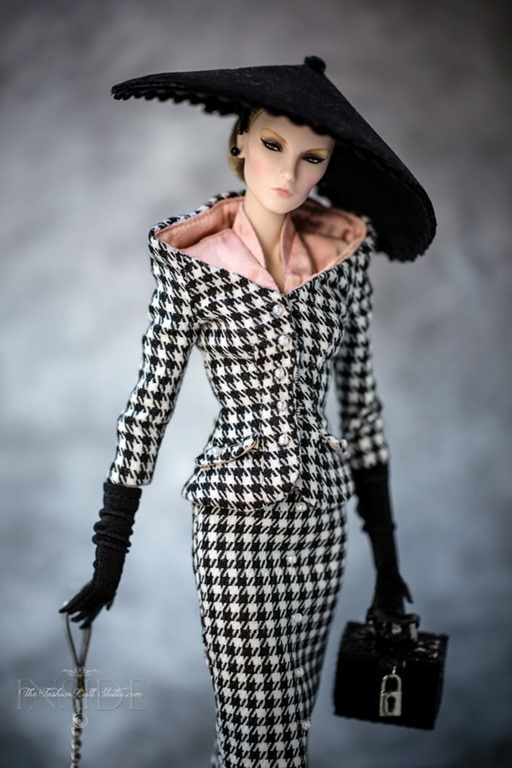 Today Bergdorf Goodman released a very limited edition set of dolls to the expectant arms of many willing and waiting collectors. A few lucky collectors were able to obtain them…many others did not. 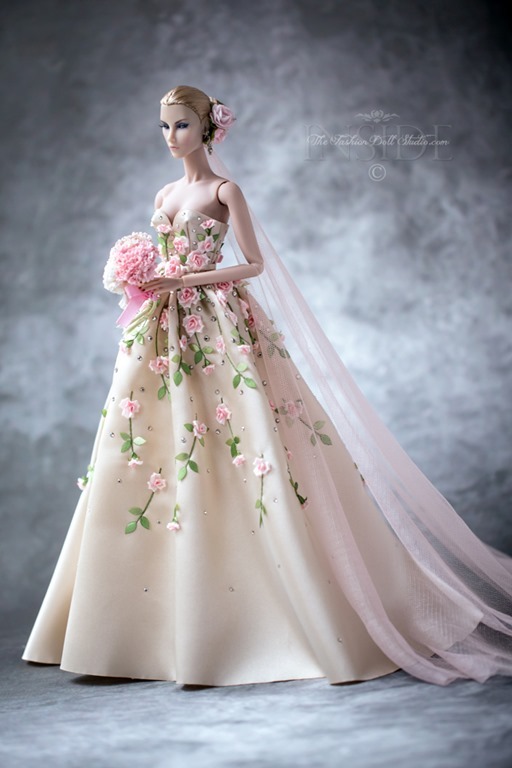 The funny part …or perhaps not so funny…is that we really don’t know who will end up with these dolls and who will not. Before I go any further, lets share images of what people were willing to get up at the crack of dawn to try to purchase. Let me set the stage. 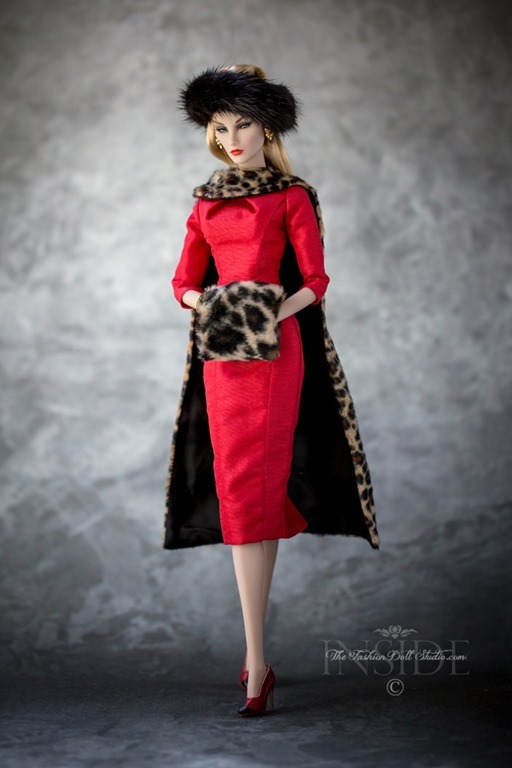 If you are a WClub member, you received a “heads-up” that these dolls would be made available online only at Bergdorf Goodman on November 17th at approximately 9:00AM EST. This is one of those “PERKS” I talk about getting with a WClub membership that basically pays for the membership alone. Just sayin’…on to the scene. Let’s be honest here people…for those who collect and love the hunt, this was catnip. 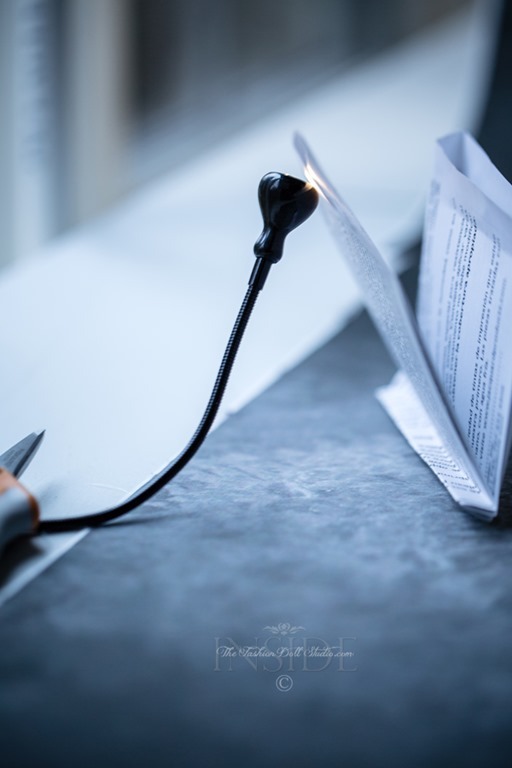 With that information tucked away, many intrepid collectors from all over the world attempted to attain these allusive collectibles. When I say allusive…I mean it. Edition size is 200. That is SMALL. 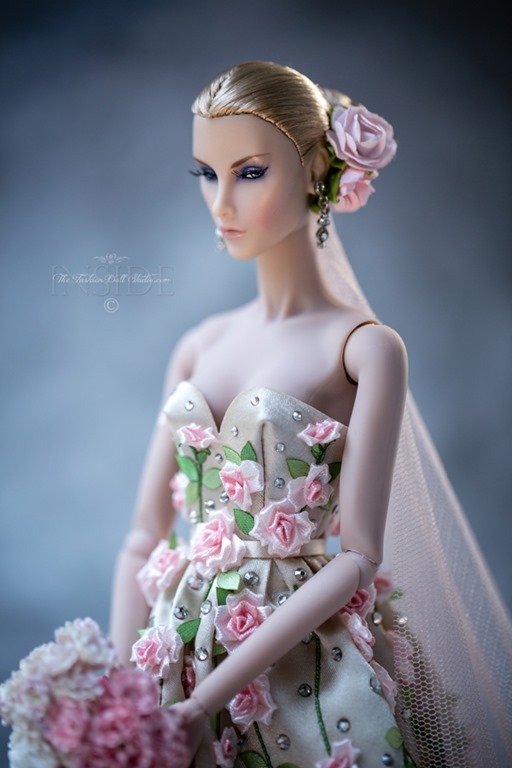 That makes these babies basically a holy grail in the fashion doll collecting community. It was a safe bet to say that there would be high demand and low supply. Basically a blue light Kmart special kind of event. 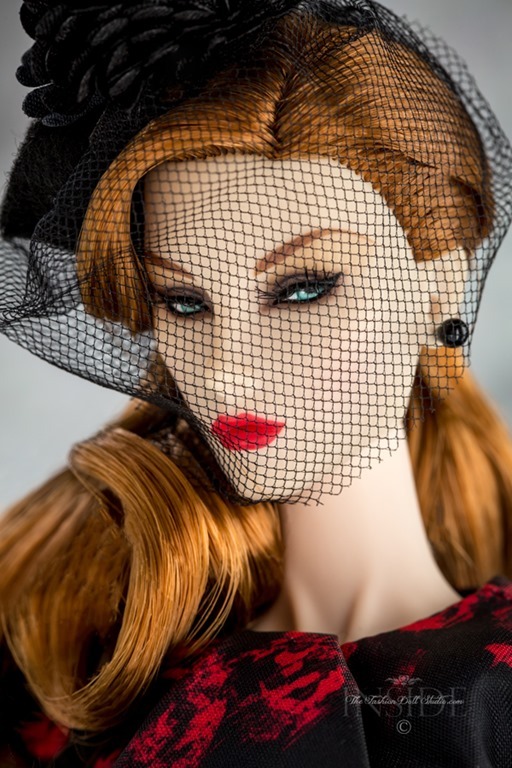 So, we had the approximate time and the place and most of us assumed that searching the website for “Jason Wu” or “Jason Wu doll” would be enough to find these beauties once they were released on the site. Some of us started early…as in predawn on the 17th. The search, it turns out was not as simple as typing in the logical “Jason Wu” oh no…it was to be more complicated than that. And here is the interesting thing I found today. It was the community and the loyal and helpful members of that community that essentially helped fellow collectors find the elusive links or gateways that allowed many to attempt to purchase these dolls. Thanks to one member in particular in the WClub, many of us were able to use a shared link and attempt to purchase these dolls. I will say outright here and now that many of us owe Blaiseworld on the WClub a big martini and undying thanks for directing us to the dolls. 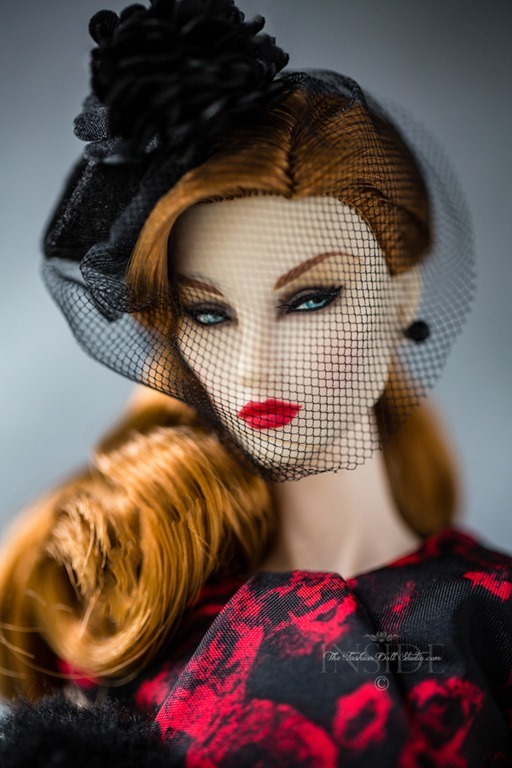 When many were expressing difficulty in finding the dolls after the designated time had arrived, Blaisworld shared the link that allowed us to get these in our carts and for all intensive purposes, purchase. Why am I being so cagy about “purchase”? Excellent question. Many of us were able to put these babies in our cart and go through the regular checkout step. Many of us received the hallowed “confirmation” email. And then…many received the dreaded “cancellation” email. So many received cancellations that it has left everyone feeling like we don’t really know if we will get these dolls or not. There does not seem to be a rhyme or reason to the cancellations and there will be approximately a week delay to find out if these things will ship ( apparently the container ship with product has not arrived at BG yet). Most of us wait in anticipation hell…afraid of the pings of those incoming emails …afraid they will be cancellation emails. I am seriously developing a nervous tick with these pings LOL! As of this point, I am in anticipation of these dolls but I don’t fully expect them. 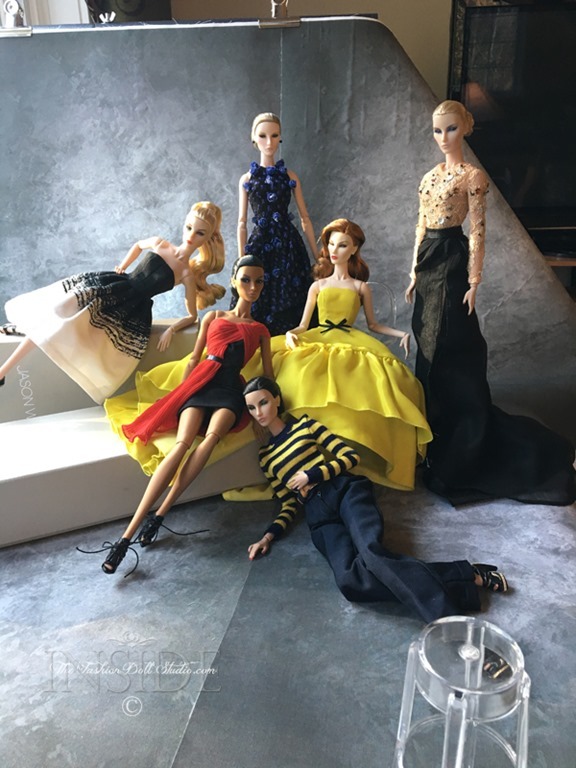 Jason Wu shared on his Instagram that these dolls sold out in 1 hour so I am hopeful if I made purchase within that 1 hour that I will receive them. I don’t really know for sure though until I get the first step to the holy grail…the “shipping notice”. I have said it before and I will say it again, Elyse and Eden/Lilith are my favorite face molds. I am interested in anything with these face molds. Added to that, the idea of having a miniature Jason Wu creation is flippin’ cool. I wish the edition size were such that those who wanted one could obtain one. In the absence of that, I have to say it was an an exhilarating yet maddening experience today as I ran into roadblocks. In the end, the roadblock was moved aside by a person I did not know personally but whom helped many collectors find their way to purchase. That is the true meaning of this day to me. This person didn’t have to help, but they did…and it helped many. Wow. Even if I don’t end up getting these dolls, I am humbled by the willingness of a few to help their fellow collectors. They didn’t hoard the information to themselves or hand it out to a select few…they gave it to the community. I find this over and over within this collecting community…a willingness to help eachother. Yes, yes, there are a few actors that are in it primarily for the profit and the gain but I would have to say, for the most part, the community wants to help….and in a world that is already pretty darn difficult right now…that made me smile.